Shinde Camp is on an island beside the lagoon after which it’s named. It’s a classic camp of just eight tents in the northern Okavango Delta, and makes a great base for a safari. 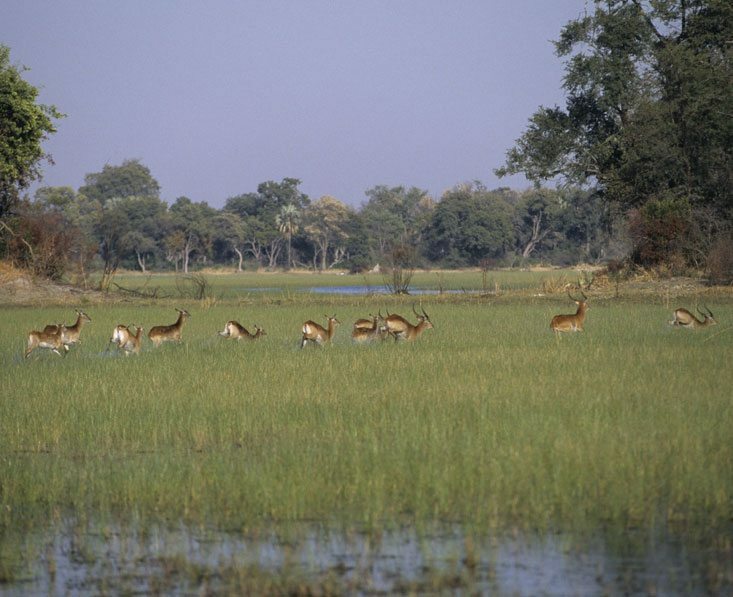 Northern Okavango Delta. Its southern border is next to Moremi. Shinde Camp is on an island beside the lagoon after which it’s named. It’s a classic camp of just eight tents in the northern Okavango Delta, and makes a great base for a safari. The heart of the camp is the beautifully designed multi-level tree house housing the lounge and dining room, where you’ll spend relaxing downtime and enjoy cheerful communal meals between activities. Large mangosteen and ebony trees provide welcome shade in the heat of the day, and there’s a small swimming pool where you can cool off. Sundowner drinks and dinner are often served in a specially selected spot on the delta which makes the occasion all the more atmospheric. The camp has a gift shop where you can browse the locally-made goods. Money spent here goes towards schooling for local children. The tents are in the classic safari mould, set on timber decks. Inside they are spacious and light, with colourful rugs, cushions and throws. A generator provides electricity for lighting and you’ll also find a torch for your personal use in the tent. The en-suite bathrooms, equipped with hot and cold running water, feature hand basins, a shower and flush toilet. The tent opens out to a private deck with superb views of the waterways or grassy plains, depending on the precise location of your tent. The camp is open all year and offers a mix of water and land-based activities, for an in-depth exploration of the delta. Gliding through water channels on a serene mokoro ride, plying through the waters in a motorboat or venturing out into the plains by 4x4 vehicle all offer a different angle and show you different aspects of this fascinating region and its abundant wildlife. You’ll also have the opportunity to follow your guide out on foot, for a real ‘hands-on’ experience of the African bush and a chance to glean information about the varied habitats. Shinde Enclave: Three of the eight tents at Shinde can be used as a private camp with their own activities and guide and dining facilities. The tents are the same as all the others within Shinde, and if the Enclave isn’t being used exclusively, the tents will be used as part of the main camp – with guests eating as normal in the main dining area and joining with daily activities of the camp. 8 guest tents including a secluded honeymoon tent. All with en-suite shower room and flush toilet. Private veranda. Children aged 10 years and over are welcome. 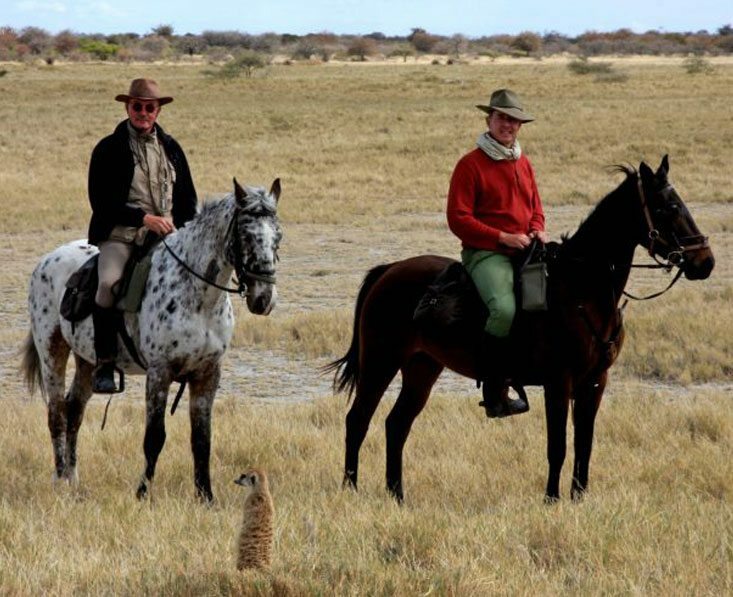 9 days from £6,485 pp A riding adventure through the Makgadikgadi Salt Pans and a wildlife safari in the Okavango Delta, a special safari experience indeed! 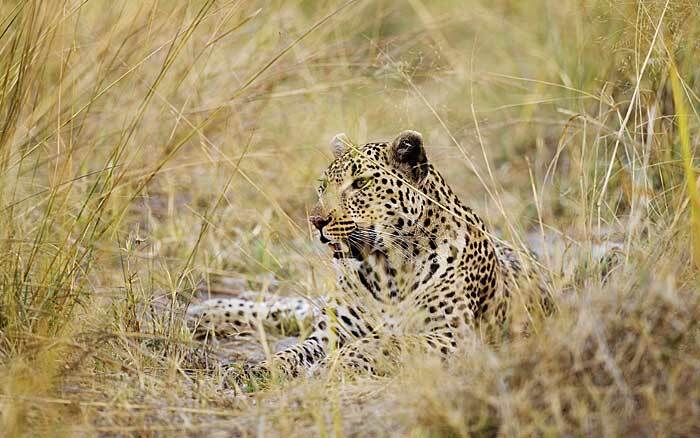 9 days from £4,160 pp This safari adventure includes natural wonders, plentiful wildlife and a variety of activities.